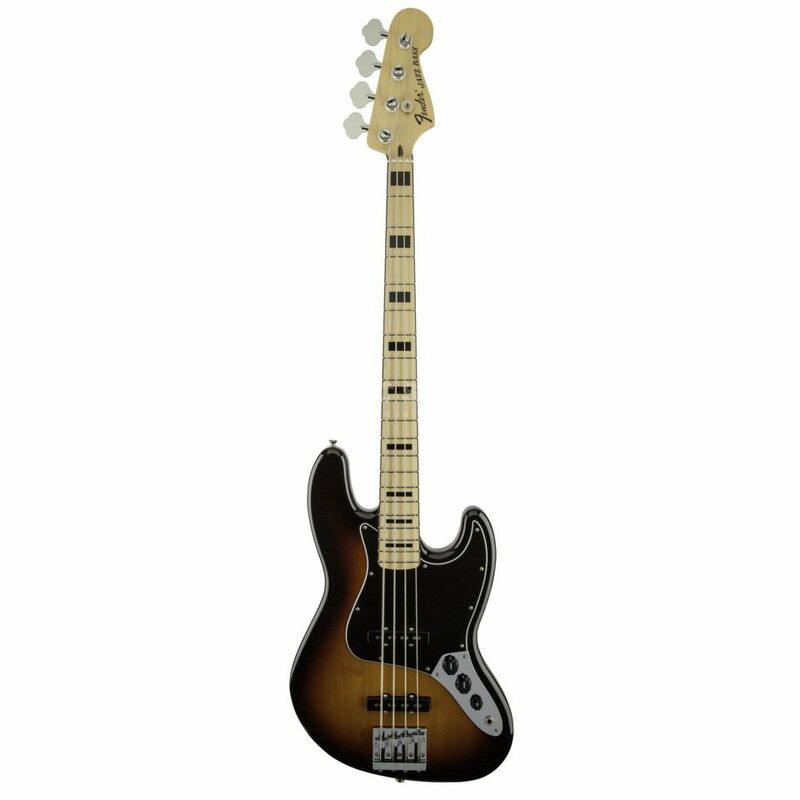 The Fender Geddy Lee Jazz Bass®,3 Tone Sunburst is an exact replica of the tonally singular instrument that Rush’s revered bassist/vocalist has riffed away on in front of thousands of devoted fans worldwide and on many a mega-selling album, and it is now also available in a striking 3-Tone Sunburst finish with a well- suited 3-ply black pickguard. The bass has an alder body; the one-piece “C”-shaped maple neck (thin) has a maple fingerboard with black binding and black rectangular position markers. The two vintage Jazz Bass® single coil pickups crackle with life and bristle with the energy. Other features include chrome hardware, vintage-style tuning machines and a Badass® Bass II™ bridge. Features: Black Fingerboard Binding with Black Rectangular Shaped Position Markers, Slim Neck Profile, Badass® II™ Bridge.